Theresa May's offer to give EU citizens in the UK "settled status" after Brexit has been described as being "far short of what citizens are entitled to". 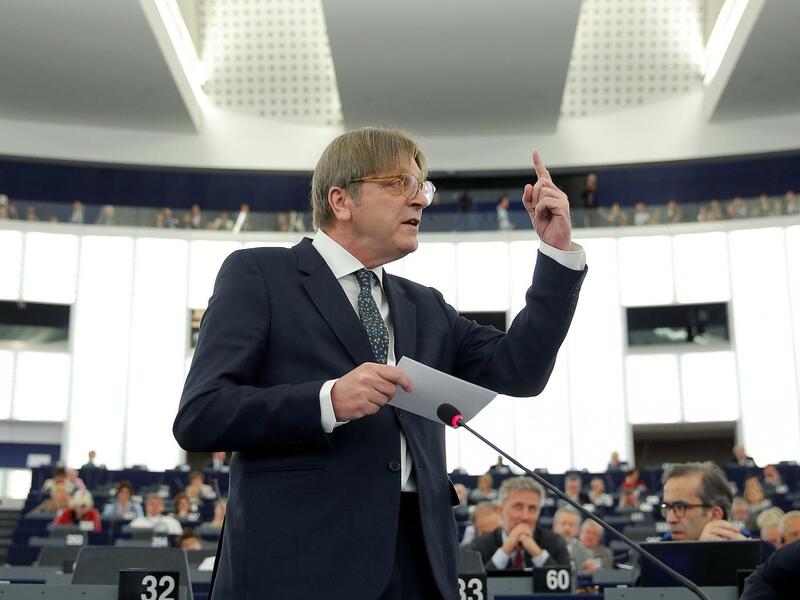 MEPs, including European Parliament chief Brexit negotiator Guy Verhofstadt say the proposal is a "damp squib". It offers Europeans in the UK fewer rights than Britons in the EU, they say in a joint letter to newspapers. Cabinet Office minister Damian Green said the "basic rights" of EU citizens living in the UK would be "preserved". He urged Mr Verhofstadt to "read our proposal", which the UK government insists would allow about three million EU citizens to stay on the same basis as now. EU migrants who had lived in the UK for five years would be granted access to health, education and other benefits. But the prime minister's proposals would be dependent on EU states guaranteeing Britons the same rights. The leaders of the four political groups who have signed the joint letter account for two-thirds of the votes in the European Parliament. Their letter points out that that they have the power to reject any Brexit deal before it can go ahead because the parliament must approve the withdrawal agreement. The leaders said they would not endorse anything that removed rights already acquired by citizens. They said the UK proposal "falls short" because it would take away rights citizens currently have, and create new red tape and uncertainty for millions of people. The letter said this contradicted promises made by the Leave campaign that EU citizens would be treated no less favourably after Brexit. By contrast, the letter said the EU's offer - already on the table - was simple, clear and fair because it promised that all citizens, including UK nationals living in Europe, would be treated equally and lose no current rights. Speaking on BBC Radio 4's Today programme, Mr Verhofstadt said EU citizens in the UK - and Britons living on the continent - should keep their current rights, rather than the government "inventing a new status".